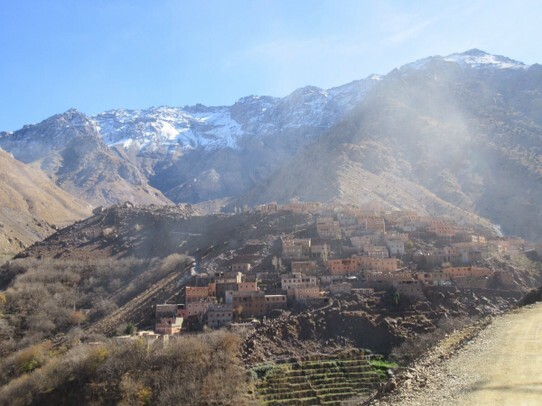 Day 2 - Today we set out for Tamasoult, a remote tiny village about 2250m on the other side of the valley from Imlil. 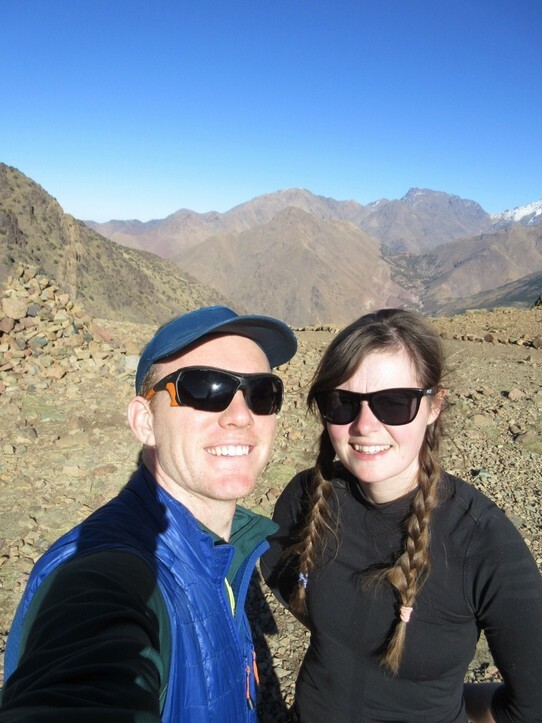 We were both shocked at to how warm it was at this altitude in December but it was baking! 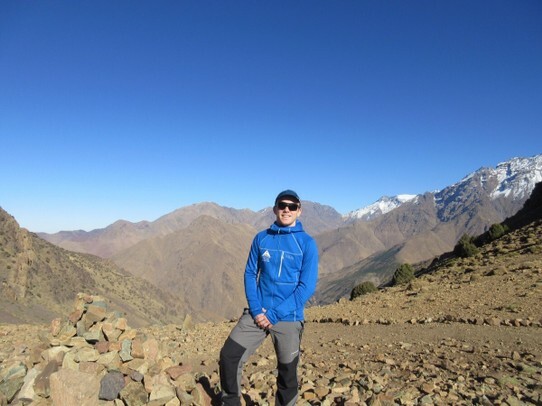 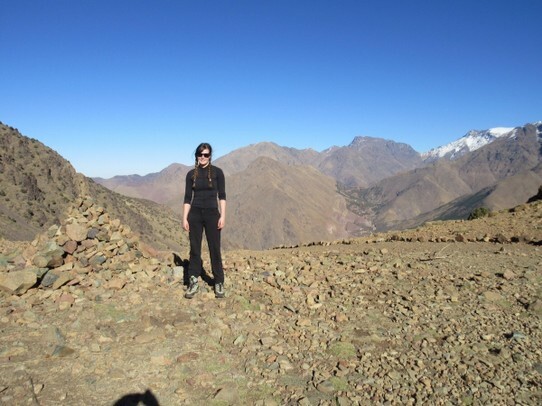 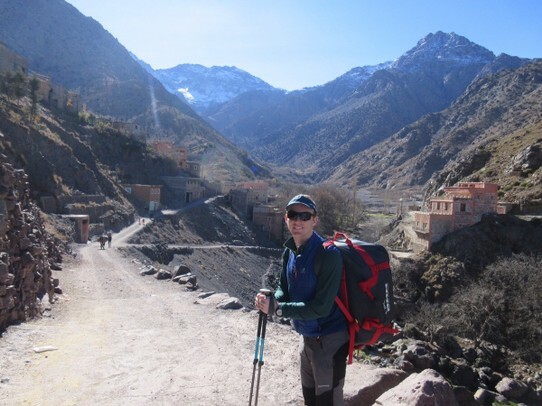 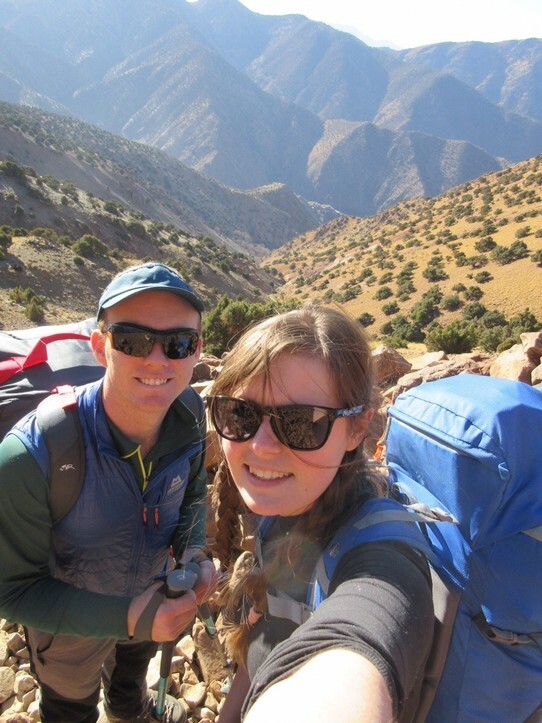 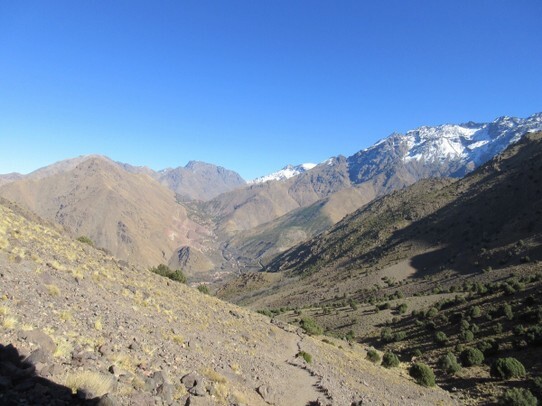 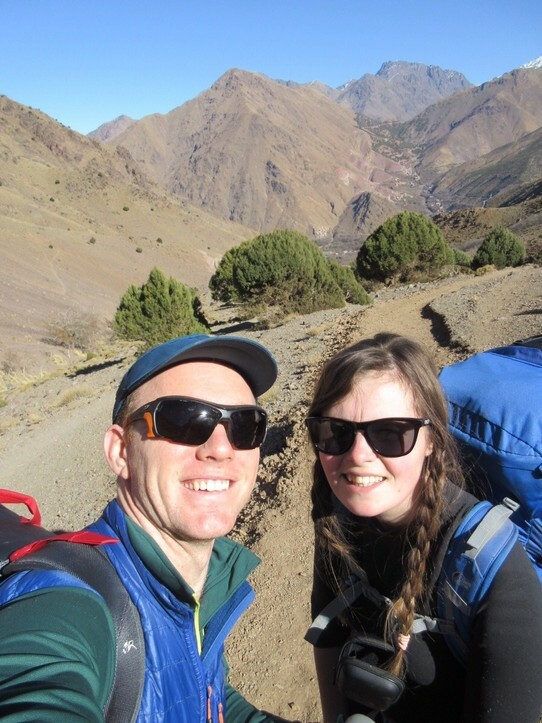 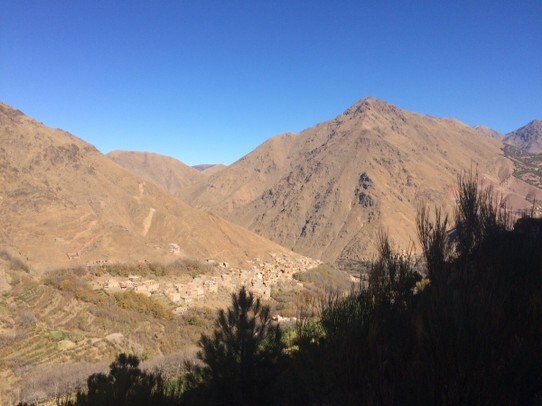 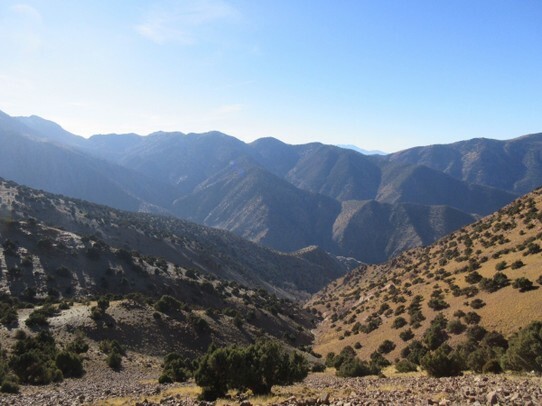 We passed through walnut plantations and some smaller Berber villages up to a small pass Tizi Mzik at 2489m, so good for us to get use to the acclimatisation as this is going to be both our highest and longest treks. 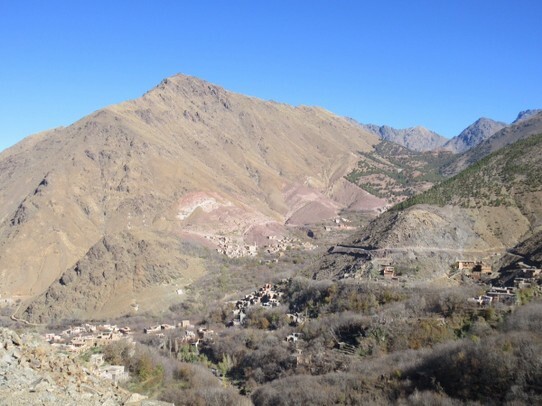 After leaving Tizi Mzik we headed south and down through the valley towards Tamsoult which we both thought was a lot closer than thought. 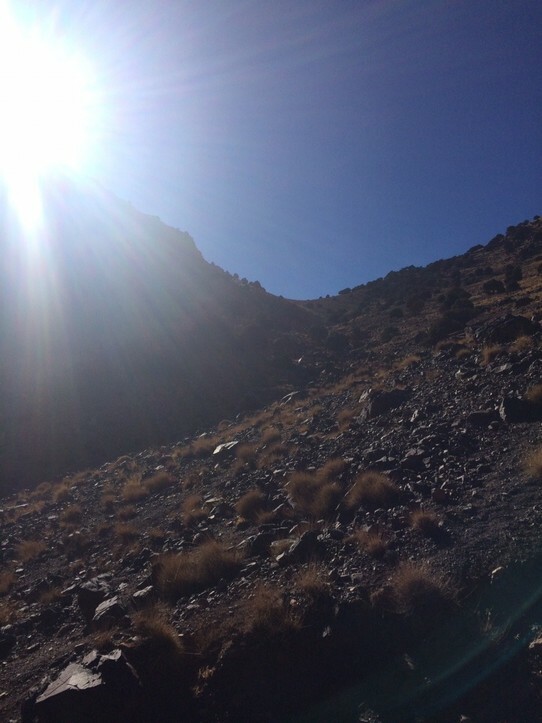 It was interesting section as we were both extremely hot and running low on water, we didn't want to go to far up the valley and we definitely didn't want to down the valley as that would of been a horrible as we didn't want any more up hill today! 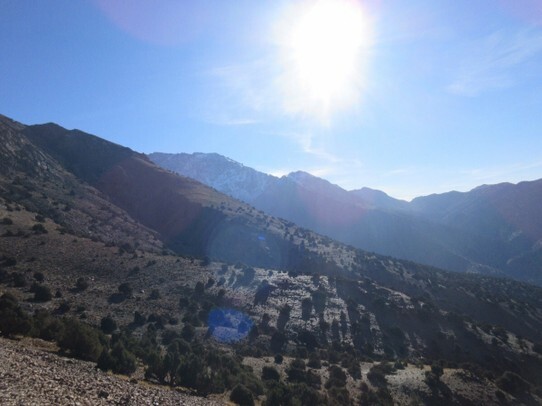 To make things even more interesting we had a small incident with a dog and he wasn't happy, even following us growling and barking as we went through the Juniper and pine trees, he left us alone after a while luckily as didn't want to have to pick a fight with a local dog, I think we probably would of lost as well! 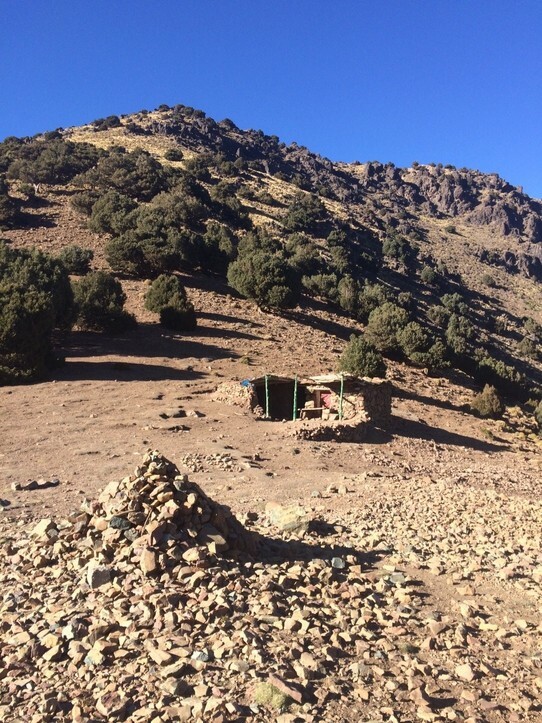 We arrived at the Tamasoult refuge late in the afternoon and it was starting to get bitterly cold and we were welcomed in by a non English speaking Berber who was a very good host and made us some lovely food and sweet mint tea which for someone who doesn't like tea was surprisingly very nice. 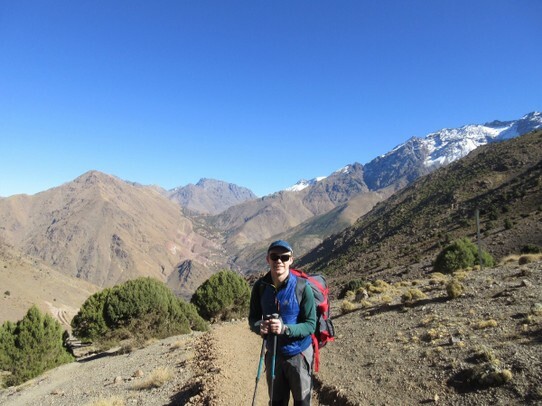 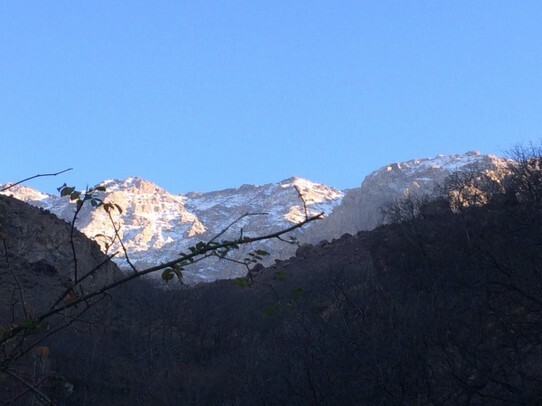 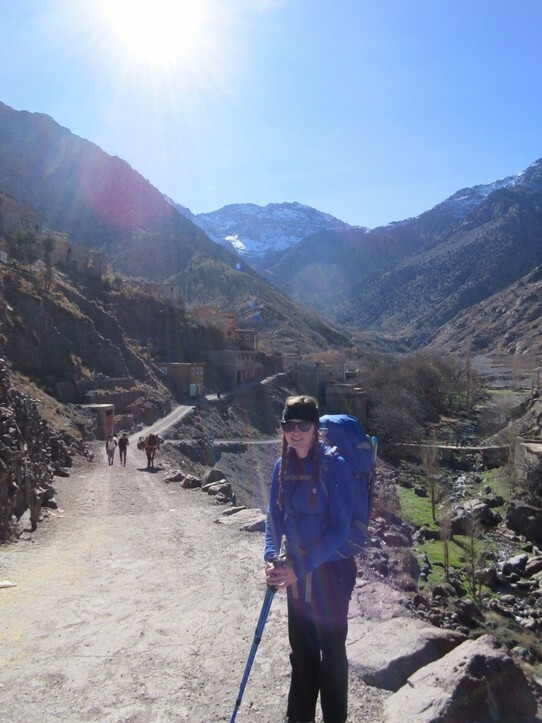 In the morning we set out for our monster part of our trek to reach our home for the next few nights right beneath Toubkal.